The International Consortium of Investigative Journalists today launches the first part of a multi-year project aimed at stripping away the biggest mystery associated with tax havens: the owners of anonymous companies. Secrecy For Sale: Inside The Global Offshore Money Maze is one of the most ambitious and complex pieces of journalism we have ever undertaken. This first part of our project is being done in collaboration with The Guardian and the BBC and focuses on Britain — one of the centers of the offshore industry. While many people use the offshore world for legal purposes, the extreme secrecy offered by tax havens also facilitates the use of anonymous entities to commit crimes, evade taxes, hide assets from creditors and avoid regulations. This secrecy can ultimately undermine democracy by granting a certain class of individuals the ability to play by a different set of rules. Organizations like the World Bank have advocated for greater disclosure and accountability of offshore structures. So, too, have advocacy groups like the Tax Justice Network, which estimates half of all global trade now passes through tax havens and one third of world wealth resides there. Our aim is to allow the public to see inside the offshore world in a way that has never before been possible. Perhaps most surprising is that much of what we will be revealing this week and over the next few months is perfectly legal. Our inquiries are being conducted across dozens of jurisdictions and in collaboration with dozens of media partners and freelance journalists around the world. We are in a unique position to undertake this work. 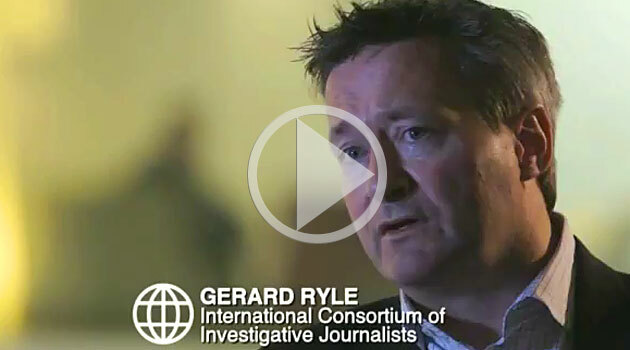 Our global network of investigative reporters spans more than 60 countries. 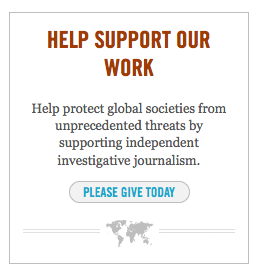 This has been the purpose of ICIJ since it was founded in 1997 as a project of the Center for Public Integrity, a Washington DC-based non-profit. One of the main investigative tools we are using – and which was donated to us free-of-charge – is specialist software from the Australian-based company NUIX. NUIX is a worldwide provider of information management technologies and its technology allows for the processing, managing and searching of large volumes of unstructured data. Reporters do not, at least until now, typically use the software. According to NUIX, it is used by law enforcement agencies, corporate regulatory bodies and government departments. • The first is to feed us leads that point us to things that might be important. • The second way to help is to consider becoming a financial donor to ICIJ to help us cover the ground that needs to be covered. We thank you in advance for your support for this investigation.